UT Rio Grande Valley lost 5 in a row to begin the season, then beat Grambling and St. Francis in a Florida tournament before losing 2 more games, including to Portland St. on Saturday night, 87-74. The 2-7 Vaqueros, from the WAC, have been the ultimate road warriors, playing only one game in their Edinburg gym. UP is currently favored by 19 points in this one, with KenPom rating UTRGV at #338 and UP at #137. WARNING: UTRGV was known as the UT Pan American Broncs back in 2012 when they came to Portland rated #312, and beat the Pilots 56-52 in the very, very slow paced “Derrick Rodgers game.” In that game UT PanAm dared the always shy Derrick to shoot the ball, and he did, scoring 13 points on 5-7 shooting including 1-1 behind the arc. The bulk of their scoring comes from #4 PG Nick Dixon (18pts) and #55 SG Antonio Green (16pts). Hopefully the Pilots will run an up-tempo game this time and take the visiting Vaqueros out of the contest early. We need to see the team get back in sync. I thought there were instances Saturday evening where they over-passed instead of taking a good shot when it was available. Also, there were several times the guards got trapped and kinda threw a "hope" pass that became a turnover. UC's big guards had a lot to do with that. 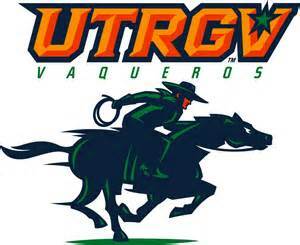 I noticed the UP Athletics Department website calls UTRGV the Broncs, which is the mascot name prior to it becoming the Vaqueros. But the name change was not without controversy....actually "none of the above" was the choice of many when it came to consolidating the three UT universities into one. I'm guessing the women's teams are the Vaqueras....although my spell checker doesn't recognize it. Well that was something. You'd like to be irritated that it was this close to a team like that in the first place, but man. It takes a certain amount of moxie to not only battle back from a big deficit late, but make plays at the end of regulation, OT1, and OT2 to get the win. There's been chatter on here about getting Smoyer more playing time. Got that and then some tonight, now do we see him in the starting lineup? I mean, if I had to pick one of the three big men to get that pass from Wintering at the end of regulation, Smoyer's hands are the only ones I trust in that situation. Go with the kid. And hey, props to the student section. Got them with the ol' shot clock countdown midway through OT1, nice to see home court advantage play a role late. Hoping the FT shooting tonight was just a massive aberration. May we never shoot free throws like that ever again. Prior to the game the coaching staff said they wanted to give Joseph Smoyer some extra minutes....I don't think they planned on him getting 28 minutes. Eight points and 7 rebounds and the dunk to take it to OT....what a night. They also said Gabe really seemed leg weary so they wanted to give him a lot more rest than they had previously....he got 42 minutes and 16 points, including the put-back off of Alec's layup to win the game. The guy who should really be leg weary because he played 46 minutes tonight is D'Marques, but he's the only one to get his legs under his shots and make a 3-pointer (7-15). I really don't remember Jazz coming out of the game, but he scored 19 points, including a couple of circus baskets from underneath and the one that took the game to double-OT in his 47 minutes. Alec played his usual stellar game, and along with Jazz, is not only the floor leader, but the floor burn leader....hard to believe how many times those guys were on the deck tonight. Coach Cantu, who's been in basketball most of his life, said he'd never seen a player play for 50 minutes in one game, but he did tonight! Twenty-four points and close to a double-double with 9 rebounds and 7 assists for Alec. All and all, a very entertaining game once it got to 4 minutes to go in regulation....prior to that, not so much. I legitimately cannot remember the last time Alec came off the floor. So what would Porter have done if he had picked up that fifth foul in OT? Jazz to PG and Marshall in? Or does Ferguson come in and run point? My uninformed opinion is that Coach Porter is a pro coach, and sticks with his primary players. Subs ride the pine. Smoyer may be the exception to that rule, since he shows a little offense. I still think Philipp will still start, since his defense and rebounding have been good. But if the other front court players don't start scoring more, Smoyer may need to play more since he can score a little bit, and the other bigs don't. Dean Murdoch wrote: I legitimately cannot remember the last time Alec came off the floor. 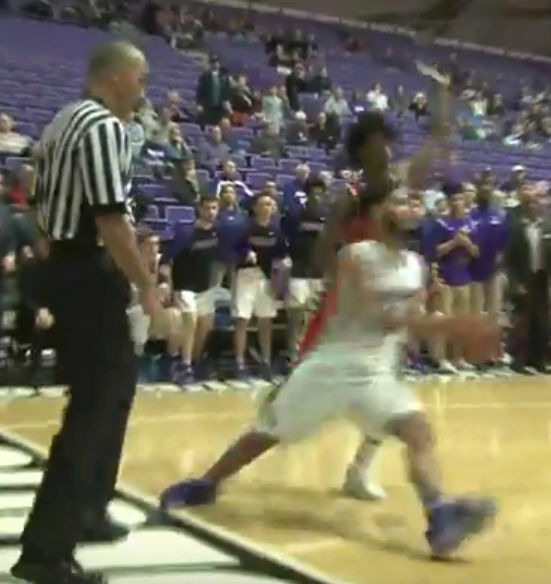 I know the coaches want Andre to get some court time prior to WCC play, but tonight's situation and UTRGV's athleticism would have made it a tough situation. I remember yelling down to Andre to start warming up tonight (they never do, it seems)....so I guess he would have been my choice. Remember too that D'Marques had 4 fouls....that's where I would have inserted Jarrel, with Rashad next off the bench. But hey, TP makes the big bucks to make those decisions, and he has a very good staff to help him....he doesn't need us. Looked it up...last time Alec was subbed out was against UCLA (five games ago). He's now #3 in the country in percentage of minutes played, behind only Matt Mobley (St. Bonaventure) and Jaleen Smith (New Hampshire). Technically he was subbed out with 22 seconds left against Colorado when he fouled out. The box score does show him with 40 minutes though. I guess they round up. Portland State beat Texas Rio Grande by 13, 87-74. Hmmn? Great finish to an ugly game! But did anyone watch the post-game video posted by UP? In just two games, we've gone from the best free throw team to the 17th best. We also dropped to 154 in the KenPom rankings. But a win is a win. Even if it is undeserved. blacksheep wrote: In just two games, we've gone from the best free throw team to the 17th best. I guess it depends upon where you get your stats...KenPom is indicating the Pilots are now 24th, shooting 76.9%. This morning I spoke with one of the players who did not get into the game about the free-throw shooting last night....he told me some of the guys were commenting during the pre-game shoot-around that they were thrown off by having the bleachers at both ends of the Chiles Center collapsed and pushed back for the first time. But he also said that if that's the case, "they just let it get into their head and didn't adjust." up7587 wrote: We also dropped to 154 in the KenPom rankings. But a win is a win. Even if it is undeserved. Oh, I think the win was deserved, after all they did scratch and crawl their way back. Anyone can have a bad shooting night at the line....trouble is everyone had a bad night last night. It was a break-out game for Joseph, and in Tyson's first start of the year he hit 7 3-pointers. I think the staff now has a better idea of who they can go to and what their best lineups are. Going forward, I'm still concerned about the number of minutes that individual players are getting....but I also understand the need to win. I guess once WCC play begins we'll have a better idea just how big an issue fatigue really is. To quote Clint Eastwood in Unforgiven, just before he shot Gene Hackman, who said he didn't "deserve to die [that] way," "deservings got nothin to do with it." But still grateful that one apparently missed call went our way. I'm to cheap to pay for KenPom, so I looked it up on ESPN. They are showing 77.4%. Ugllly win against a team we should have put away at the end of the first half. Proud of our guys for not giving up and scrapping back. Haven't seen that in a while from a Pilots team. Glad to see Joseph finally get the playing time I think he deserves. Still bummed he didn't play near the end of the first half against Colorado. Speculation on whether he's permanently bumped Barreno to the 3rd option? I think he should have based on this game. Not sure if Barreno was sick, slightly injured or if Smoyer has just been outplaying him in practice to make Smoyer the #2 option last night. Barreno was dressed, but that doesn't necessarily mean he was 100%. I'm pretty sure KenPom only counts stats from games against DI opponents. That might account for the discrepancy. Portland Tribune wrote: The Portland Pilots men's basketball team will have better performances. Surviving a Monday scare from a 2-8 opponent won't do much for the Pilots' RPI.